Dr. Steffany Mohan, DDS, owner of the Plaza Dental Group, Urbandale Smiles and Campustown Dental, is a well-know dentist in the state of Iowa, with expertise in Cosmetic Dentistry, Invisalign and Dental Implants. Sleep Apnea is a sleep disorder in which the diagnosed person has one or more pauses in breathing or shallow breath during sleep. The duration of the pauses could be few seconds to few minutes. It is quite possible to have 30 such pauses within an hour. Normal breathing starts again with a loud snort or a choking sound. It is a kind of sleep disorder which occurs when a person switches from deep sleep into light sleep. This makes the quality of your sleep very poor. This can make you feel lethargic and drowsy throughout the day, which can result in poor concentration, slow reflexes, and increased risk of accidents. The effects of sleep apnea can lead to serious health problems like diabetes, high blood pressure, heart disease, vulnerability to strokes, and weight gain. You do not need to worry about all this, however. 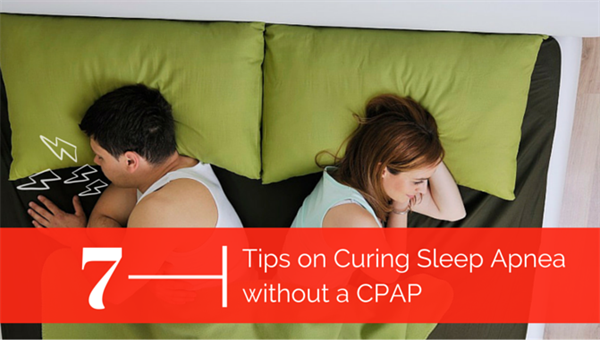 You can always keep a check on these by visiting a dental practitioner who specializes in sleep apnea. Obstructive sleep apnea – It is the most common form of sleep apnea which occurs when your throat muscles gets relaxed. Central sleep apnea – It happens when your brain fails to send proper signals to the muscles that control breathing. Complex sleep apnea syndrome – It is also known as treatment-emergent central sleep apnea. It happens when a person already suffers from the above two mentioned sleep apneas. People think that anyone who snores has sleep apnea - This is simply not true. Contrary to this belief, you might be suffering from sleep apnea even if you do not snore at all. If you feel lethargic or drowsy during the daytime, you should consult a doctor. Only old people suffer from sleep apnea – People believe that only old people are prone to this disease which is untrue. Anyone at any age can develop this disease. Children are also prone to it. CPAP machine is the only cure – People think that the best way to fight sleep apnea is CPAP machine. This is not true; there are several successful treatments available for sleep apnea sufferers. People can also benefit from getting their tissue surgically removed which causes the blockage. They can also benefit from a specially designed pillow or a mouthpiece. Those who are overweight can lose some weight to get relief. Sleep apnea is not dangerous – Another myth is that sleep apnea is not dangerous. On the contrary, it robs you off your night’s sleep. If you don’t sleep well then the effect will be seen the next morning when you feel sleepy and disturbed. Sleep on your side – It has been found that those who snore generally sleep on their back. When you sleep on your back, the base of your tongue falls into the back of your throat. It makes the airway narrow which results in snoring. Researcher advice people to sleep on their sides to avoid this. Elevate you head – You can prop your upper body by using pillows in order to allow oxygen to go through your airways. Exercise for throat and tongue – There is an exercise for the throat and tongue which strengthens them. By using this exercise your throat and tongue are less likely to fall backwards. The tip is to put your upper and lower molars together. Next, open your mouth and focus on pressing your molars as wide apart as you can. Make sure that you do not over stretch. Repeat this exercise for about ten to twenty minutes. You will feel the change after doing it five to ten times. Steam inhalation – This one is the oldest method of getting rid of cold and blockages. Place your head over a steam bowl and cover it with a towel. You can add few herbs if you want to clear the nostrils. Mouth Guard – You can consult a doctor or a dentist who can prescribe you an anti-snoring mouth guard. It holds your teeth together and tightens your jaw muscles. Abstain from alcohol and tranquilizers – Alcohol and tranquilizers are known to relax your tongue and throat muscle which results in snoring. If you abstain from them you can be assured that there are less chances of snoring. Weight loss – If you lose weight you will get rid of the extra fat around your neck. The extra fat around the neck causes snoring. So it is better to lose weight. It is important to strive for a healthier lifestyle and avoid what is harmful to your health. It is important to visit your dentist to find assistance in lessening this ailment. Sleep apnea is certainly treatable, and with the proper consultation and remedies, you can absolutely find comfort in a good night’s sleep.